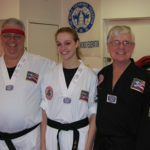 Master Jack Kittinger and Mrs. Hilda Kittinger – Recipient of 2011 Taekwondo Family of the year! 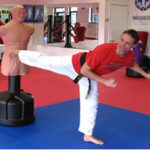 Grand Master Dave swartz’s, in charge of security at JLA and a world-renowned self-defense specialist, teaches simple and effective techniques that work for everyone, no acting involved. Free Seminar at Costick Center on March 2nd. 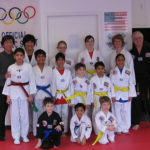 Kil’s Taekwondo is a Family-oriented martial arts school that provides a fun learning and training environment for children and adults of all ages. Our students range from 4 years old to 84. We offer classes for children, families and adults. Everybody is encouraged to train at their own pace. 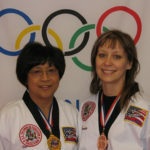 Kil’s Taekwondo of Farmington associated with Kil’s other eight schools in the area (Novi, Canton, Brighton, Westland, Dearborn, Troy, Livonia, and South Lyon). We are an official WTF (World Taekwondo Federation) and USAT registered school and all our belt certificates are recognized by the WTF and the USAT. In Korean, tae means “to strike or smash with the foot”; kwon means “to strike or smash with the hand”; and do means “way” or “path”. Hence, taekwondo is loosely translated as “the way of the foot and the fist”. 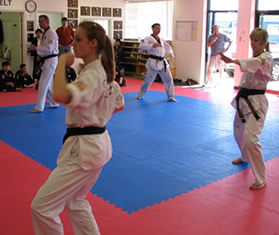 Taekwondo is a combination of combat technique, self-defense, sport, exercise, entertainment, and philosophy. In addition to the general good conditioning and flexibility training, the major “disciplines” are self-defense, sparring, forms and breaking. 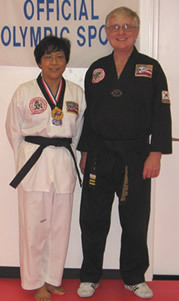 Master Jack Kittinger, a 5th degree Black Belt and National Champion (2008), runs the Farmington Kil’s Taekwondo School with the help of his wife Hilda, a three-time National Gold Medal Winner. Master Kittinger emphasizes a friendly-family atmosphere with individual attention given to each student. Children learn Taekwondo in a fun environment with games, physical and mental exercise while learning a practical martial art.